Generating enough money… this is probably one of the thing most early-stage social entrepreneurs struggle with! And to be honest: I also struggled with that too when I started Creators for Good! Now – 2 year after leaving my corporate job – I am making a good-enough living PLUS I have some extra revenues I can reinvest into the growth of my business. BUT this did not happen by magic, nor did it by “waiting for it to work out eventually”. I made this happen for me and for my business on purpose! 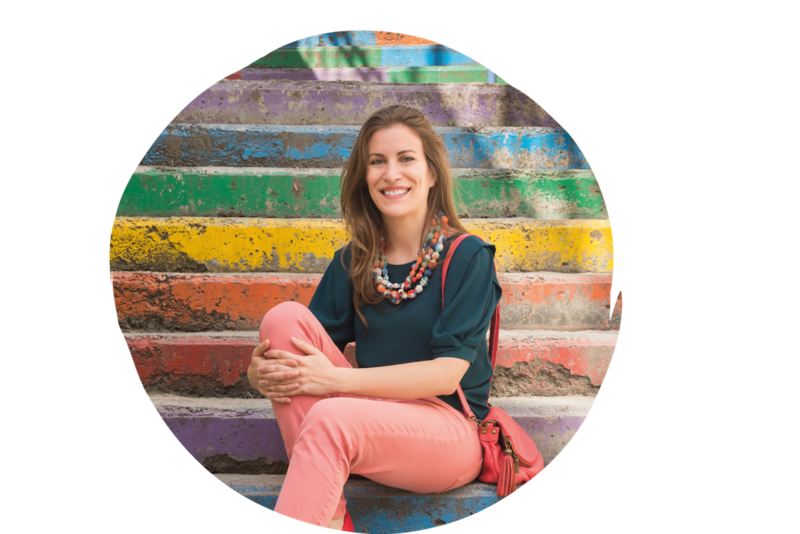 Here are a few questions to ask yourself – if you too are determined to turn your social enterprise project into a financially self-sustainable, exponentially impactful enterprise. Do you want to generate personal revenues through your social enterprise? 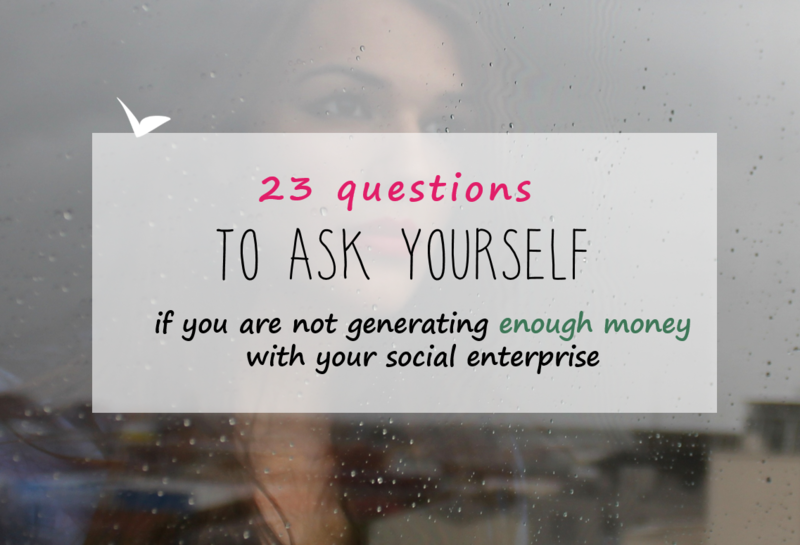 Do you need to generate personal revenues to run your social enterprise? Do you know exactly how much you want to generate as a personal salary? Do you know how much money you need to invest monthly in your business, no matter how many clients your have (= fixed costs)? Have you ever calculated how much money it cost you every time a new client buys one of your product or service (= variable costs)? Do you know exactly how much you want to generate, in order to reinvest in your business? Do you strongly believe making money is important for your social impact? Do you strongly believe it is fair for you to earn a personal salary out of your social enterprise? Do you have a complicated relationship with money that could block you from generating revenues? Have you invested in yourself, to be the entrepreneur you need to be and learn what you need to know in order to succeed? Have you developed an offer (in the form of a product or service) which – once regularly sold to enough clients – will allow your initiative to be financially self-sustainable? Have you invested in making this offer (=product/service) something very valuable? Do you strongly believe in the value this offer brings to those who will purchase it? Have you set a fair price for your offer – that reflects the value your offer represents in your client’s life? Do you know the cost it has for your potential clients if they decline your offer (and try to come up with a solution on their own)? Do you feel comfortable explaining the value of your offer to your potential clients? Have you identified who could be your “ideal clients”? Do your ideal clients actually know your social enterprise exist? 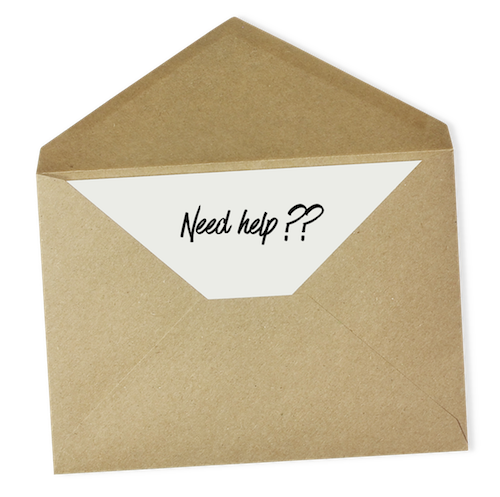 Have you made it easy for your potential clients to find your offer when they need your offer? Have you made it easy for your potential clients to understand the value of your offer, its price, and take their decision when they need your offer? Do you have a strategy, and plan of action, to reach this milestone – that takes into account the time and resources available to you? Have you already planned how you are going to celebrate reaching this milestone – and how exactly you are going to spend / invest this money? All of these things can impact on your ability to generate revenues. When you work through these pieces – and work on both your mindset and action – then you are putting all the chances on your side to actually reach your goal. If these questions are bringing up more questions than answers, perhaps it’s time for you to get some strategic support. I’d be happy to discuss your purpose-driven enterprise situation – and your potential next steps to move forward – during a free strategy session (for which you can apply here). I have just completed answering the 23 questions you had for me. I have a mixture of answers. Some yes and many No. Others I have a general picture of what I want/need but have not put them on paper etc. These questions are great and they have actually got me on my toes now. Looking forward to attending the strategy session which will help me alot. Do I need to reply to these 23 questions and send back to you or keep for myself? I am happy to hear those questions were already useful as such to “get you on your toes”. No, do not send me your answers in writing : I will not have time to read them and get back to you. However, we can surely discuss the “money question” during our free strategy session later this week!